Black streaks on the shingles of your roof look unsightly and reduce the curb appeal of your home. They are generally due to algae or mold growth. Hiring a professional to clean your roof is not necessary. Cleaning the black streaks yourself is not difficult if you have the right products and tools to use. 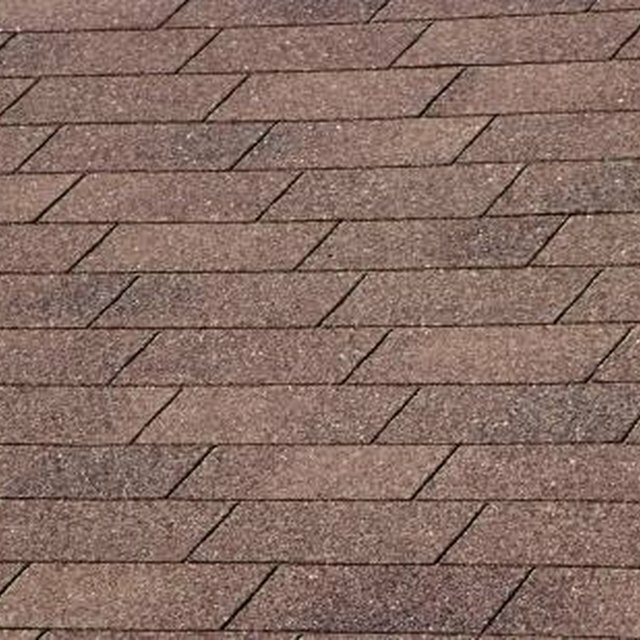 This method increases the resale value of your home and keeps your shingles looking attractive for many years. Dark streaks can make your roof look unsightly. Check the weather for the proper day to clean your roof. An overcast, somewhat cool day is perfect for this chore. Mix the powdered oxygenated bleach with water in a bucket according to the package directions. Pour the solution into a [backpack](https://society6.com/backpacks?utm_source=SFGHG&utm_medium=referral&utm_campaign=921) garden sprayer or a pump sprayer you can carry onto the roof. Put on your safety harness, as wet shingles are quite slippery. Even the most experienced person can accidentally stumble while on a roof and a fall can be debilitating. Spray the bleach solution over the black streaks on the shingles until it covers the area thoroughly. Do not let the solution dry. If the weather is windy or sunny, stay on the roof and spray another light coat every few minutes to allow the bleach to work. Allow the bleach solution to stay on the black-streaked areas for 30 minutes. Scrub the dark areas with downward strokes using a stiff broom or brush. Rinse the area thoroughly with clean water by pointing the hose downward. Spraying underneath the shingles can damage them or cause leaks in your home. Prune overhanging branches or tall trees that are near your roof. This prevents leaves, limbs and other debris from collecting or shading the shingles. Sunshine and proper ventilation helps prevent algae or mold growth. Do not use a pressure sprayer on your roof. The pressure may be too intense and damage some of the shingles. Chlorine bleach is not recommended for roof cleaning.